Search Engine Optimization (SEO) is an online marketing strategy aiming to make your website appear in top positions in Google search results pages for the majority of search queries your potential customers could make in relation to your products, services or content. This greater visibility results in visits from people who are looking for exactly what you are offering on the Internet. Better positioning and ranking results in more traffic and of better quality, meaning that not only you’re going to get more visits, but also that your visitors will buy more, hire your services more often or will become devoted readers of your content. Human Level has got over 16 years of experience positioning websites for all kinds of industries, conversion goals, technologies, languages and dimensions. We are fully capable of adapting to any settings to improve the performance of your website in search engines. This means that more people will land on your website looking for exactly what you have to offer, and at a much lower cost than any other online marketing strategy. SEO is the cheapest way to obtain profitable customers online. The more SEO traffic we obtain, the less money we will have to invest in other paid strategies. Almost all Internet users use search engines to find information about companies, reading up on products before making a purchase decision, or to compare prices, features or customer experiences. Users who are looking for companies, products or services such as those offered on your website are much more likely to become your customers. As a matter of fact, they have already taken the first step by entering their query into a search engine. Visits coming from search queries that are not related to your brand typically belong to new users and potential customers, thus, the number of people who become familiar with your business grows. On what does your website’s ranking in search engines depend? Search engines use different indications and signs to select which search queries should include certain content in their results and to calculate in what order it should appear. Some of these factors have to do with the quality of the content itself and website development, which are on-page factors; and others have to do with their authority and popularity, which are off-page factors. Why are good rankings in search engines so important? Ranking amongst the top results for search queries your potential customers could make will help you get more visits to your website, thus increasing the possibility of acquiring new clients or users. By analysing who your potential (target) customers are and how they look for your products or services on the Internet. By auditing how your website is programmed to detect and solve any deficiency, thus guaranteeing perfect indexability. By focusing your content to make it more relevant, so that it meet users’ search intent. By improving your website’s popularity profile with quality backlinks. Since 2001 we have been helping our clients to position their websites among the top results to get higher-quality visitors. We have provided SEO services to companies of several countries, and from a large range of types and sizes, with different technologies and in up to ten different languages. In each case, we have achieved significant growth in numbers of visitors, with a clear impact on these companies’ business results. Human Level is recognised as a leading SEO company, often quoted and referenced in Spanish media, such as El País, Expansion or RNE (National Radio of Spain). Its founder, Fernando Maciá, is the author of Advanced SEO Techniques, the only book on the subject of advanced SEO published in Spanish. In 2009 it was expanded and updated to a second edition. His other book, Online Marketing 2.0, has been widely used as a textbook in numerous business schools and universities. 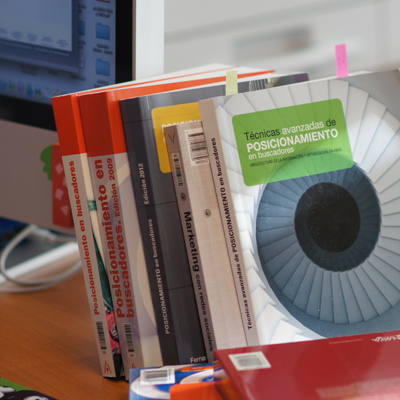 He also co-authored the first book on the subject of SEO published in Spanish, which has three editions as of 2012. Fernando Maciá regularly participates as a lecturer at major events of the SEO and digital marketing industry, at an international level. What Search Engine Optimization services does Human Level provide?